Science – PalaeoPi: Photo to 3D for all! PalaeoPi: Photo to 3D for all! Our consultancy work with RTI! I hear you say “what is RTI“? Well it stands for Reflectance Transformation Imaging. But that doesn’t tell you very much. What it does, is basically allow one to capture the surface detail of an object and relight it from any angle. How is this useful? Some of you may also be thinking… Well one use could be bringing out surface detail that is hard to see in ordinary lighting conditions. Such as, hidden graffiti on a wall in a dark catacomb! Or microscopic cut marks on a piece of bone that could have been butchered. OK so with that last example they didn’t do RTI, and there has been a lot of controversy over their findings. If they had done RTI, they would have been able to share their work easily through WordPress or any HTML based site using the WebGL application below made by A Gentleman called Gianpaolo Palma and so allowed greater transparency with their research! 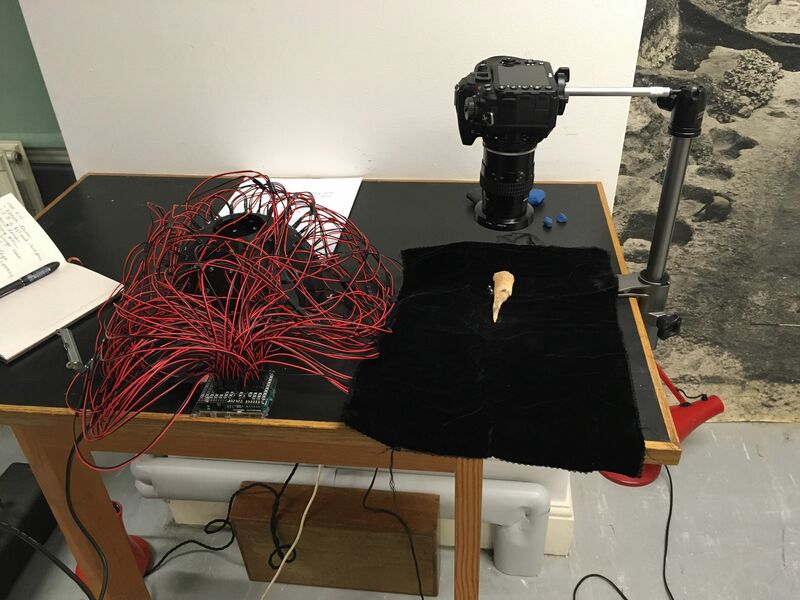 Above is an example of a bone we imaged with the help of the AiU using a custom rig that designed and built by us, commissioned by a DPhil student and funded by the Ashmolean Museum for a special field project. Go on, have a play! It’s simple, just press the ? for on screen instructions and be amazed by the virtual “torch light” bringing out hidden surface details! 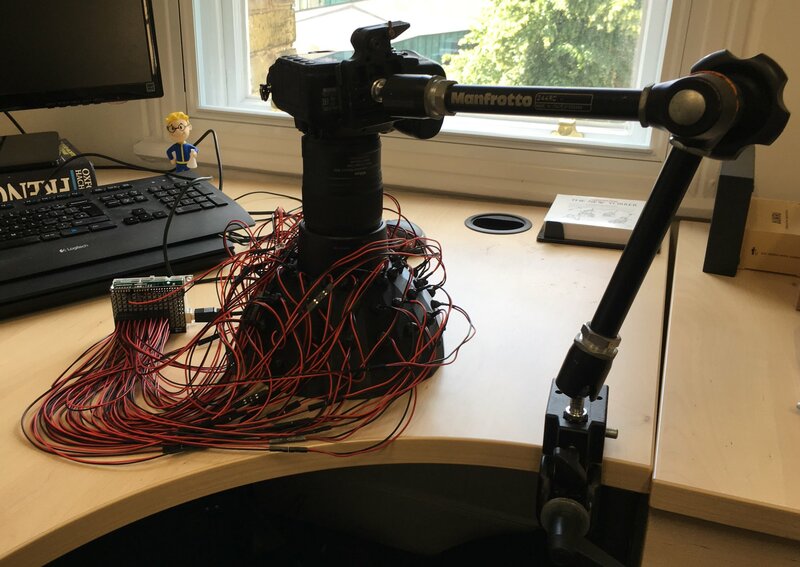 Below you can see some pictures of the rig we used that was inspired in part by this article in Make magazine but was eventually completely redesigned. 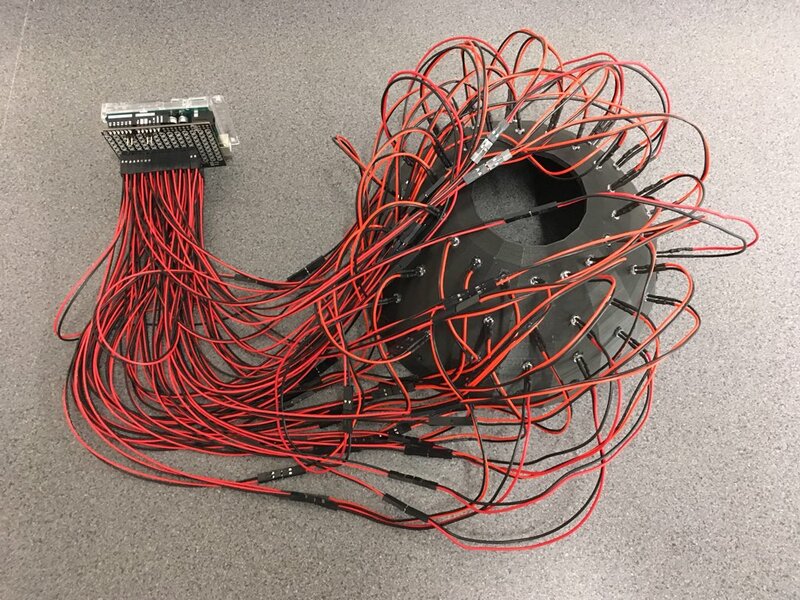 It’s bigger and badder and the circuitry is way more simple, we also added features such as swappable LEDs for potential multi-spectral imaging and ease of repair. The rig was made through our image to model consultancy service which includes rapid prototyping!